Allergan produces Namenda, an Alzheimer's drug. 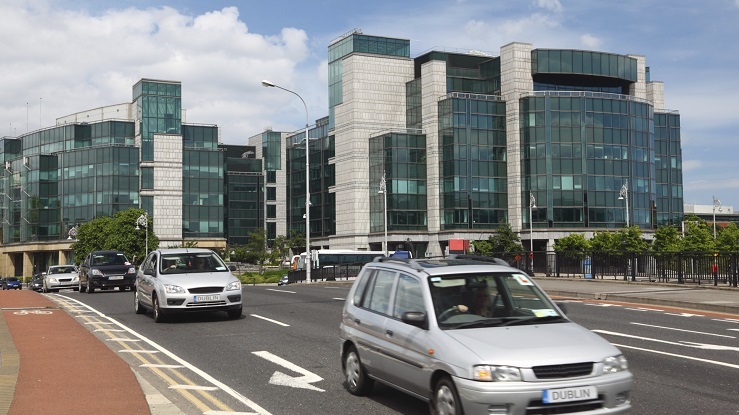 Pfizer PLC would be based in Dublin. (Bloomberg) — Pfizer Inc. (NYSE:PFE) and Allergan PLC (Nasdaq:AGN) agreed to combine in a record $160 billion deal, creating a drugmaking behemoth called Pfizer PLC with products from Viagra to Botox and a low-cost tax base. The deal will begin adding to Pfizer’s adjusted earnings starting in 2018 and will boost profit by 10 percent the following year, the companies said. Pfizer’s 11 board members will join four from Allergan, including Saunders and Executive Chairman Paul Bisaro. Pfizer dropped 2.1 percent to $31.51 at 9:34 a.m. in New York, while Allergan fell 2 percent to $306.17. The combined company will trade on the New York Stock Exchange. Pfizer said it will start a $5 billion accelerated share buyback program in the first half of 2016. The deal is expected to be completed by the end of next year. The deal will be unprecedented on many levels. It’s the largest acquisition so far this year. It’s the largest ever in the pharmaceutical world, eclipsing Pfizer’s purchase of Warner-Lambert Co. in 2000 for $116 billion. And if the new company is able to establish itself abroad for a lower tax rate, a controversial process called an inversion, it will be the largest such move in history. The U.S. Treasury Department has increasingly targeted such strategies, most recently announcing new guidance on how it will value assets owned by U.S. companies that undertake inversions. The U.S. has the highest tax rate for businesses in the world, at 35 percent, and is one of the only countries to tax corporate profits wherever they are earned. Previous moves by the U.S. Treasury have derailed other proposed inversions, including AbbVie Inc.’s plan to buy Ireland’s Shire PLC for an estimated $52 billion. Pfizer and Allergan’s deal appears structured to avoid the tax inversion rules. An agreement may also facilitate the widely discussed potential for Pfizer to reconfigure itself by splitting the newly enlarged company into two: one focused on new drug development, the other on selling older medications. Pfizer said Monday it will decide on a potential separation by the end of 2018. Pfizer earlier this year bought Hospira Inc., the maker of generic drugs often administered in hospitals, in a transaction valued at about $17 billion. The deal bolstered Pfizer’s established-drugs business, which combines strong cash flow and slow growth. Allergan itself has been recently transformed, created through an acquisition by Actavis PLC that kept the Allergan name. The company agreed to sell its generics business to Israel’s Teva Pharmaceutical Industries Ltd. for about $40.5 billion and has been on a buying binge of its own. It now has more than 70 compounds in mid-to late-stage development. If the transaction gets regulatory approval, it will be a vindication for Pfizer CEO Read. A 62-year-old who was born in Scotland, he has been open about his pursuit of a lower tax rate even after a foiled attempt to acquire London-based AstraZeneca PLC last year. Read, who has led Pfizer for almost five years, has said the U.S. corporate tax rate makes it tougher for American companies to compete. Presidential candidates including Donald Trump have called for changes in corporate tax rates to keep U.S. companies from moving. Carl Icahn, the billionaire investor known for picking fights with corporate executives, has said he will put $150 million into a new super-PAC that would push politicians for changes to the way U.S. corporations are taxed on their earnings abroad. For Saunders, 45, the merger is the culmination of a rapid-fire series of multibillion-dollar deals that took him from obscurity to become one of the industry’s most powerful people. Saunders had joined Actavis after it acquired Forest Laboratories Inc. in 2014. In a prominent position at the combined company, Saunders would be a favorite to succeed Read eventually. Saunders’s holdings in and previous equity awards from Allergan would be valued at $176 million, based on the deal’s $363.63 a share offer price. Guggenheim Securities, Goldman Sachs Group Inc., Centerview Partners and Moelis & Co. were Pfizer’s financial advisers, with Wachtell, Lipton, Rosen & Katz; Skadden, Arps, Slate, Meagher & Flom LLP and A & L Goodbody providing legal counsel.